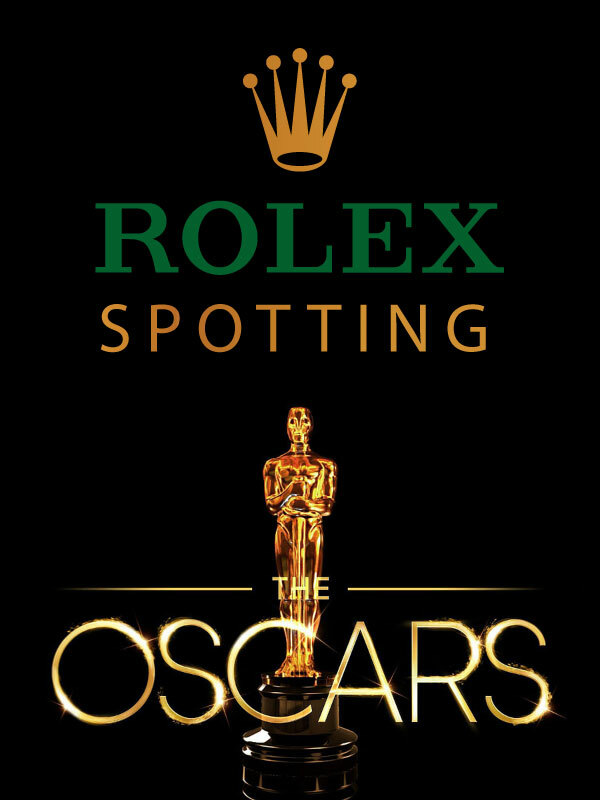 I was recently having a conversation with a good pal of mine who is a complete watch nut, and he asked me who I thought the greatest and most iconic figure was who ever wore a Rolex. Many great people popped into my head, but after I thought about it for a few moments, I said, "Jacques-Yves Cousteau. 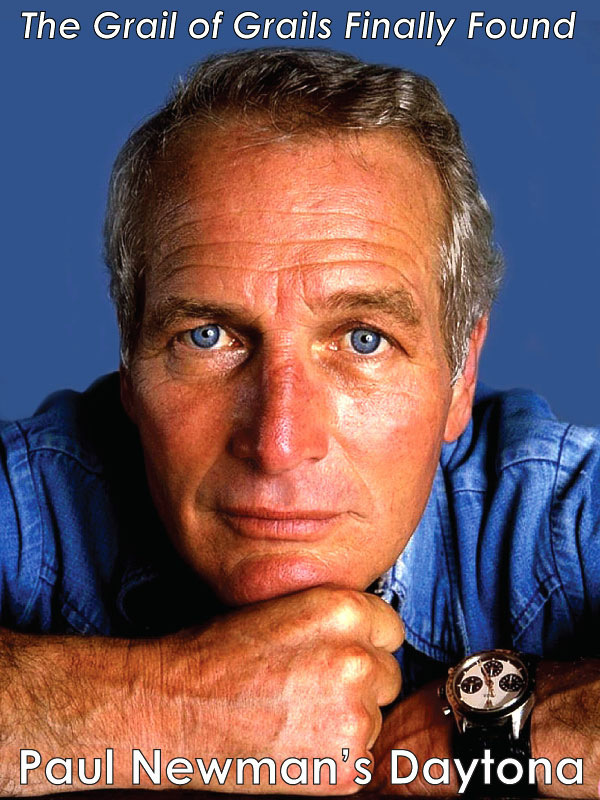 Unequivocally, Jacques Cousteau was the greatest man to ever wear a Rolex and he was also the greatest explorer that ever lived!!!" 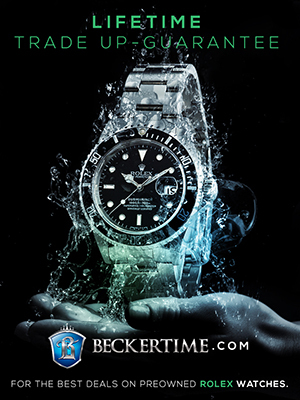 This made me think about this story I published earlier on Jake's Rolex World, and just how profound this finding was, so I thought I would share it with you again!!! 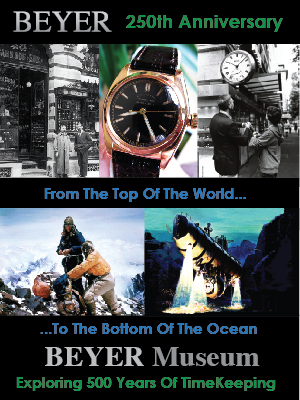 Here is a newly discovered Rolex history document from October 1953, which chronicles extreme diving trials for the Rolex Submariner in the Western Mediterranean Sea by the Institute Of Submarine Research!!! 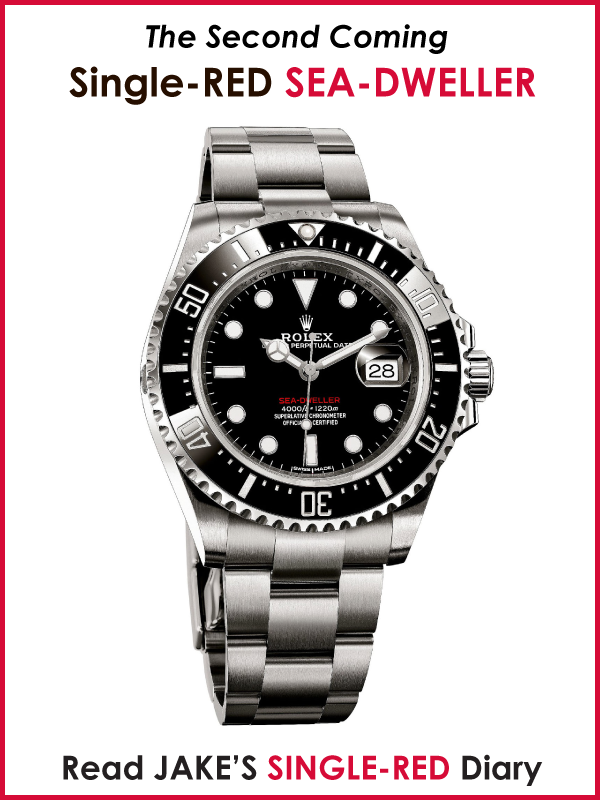 Rolex formally introduced the Submariner in 1954 at Basel Fair in Switzerland. 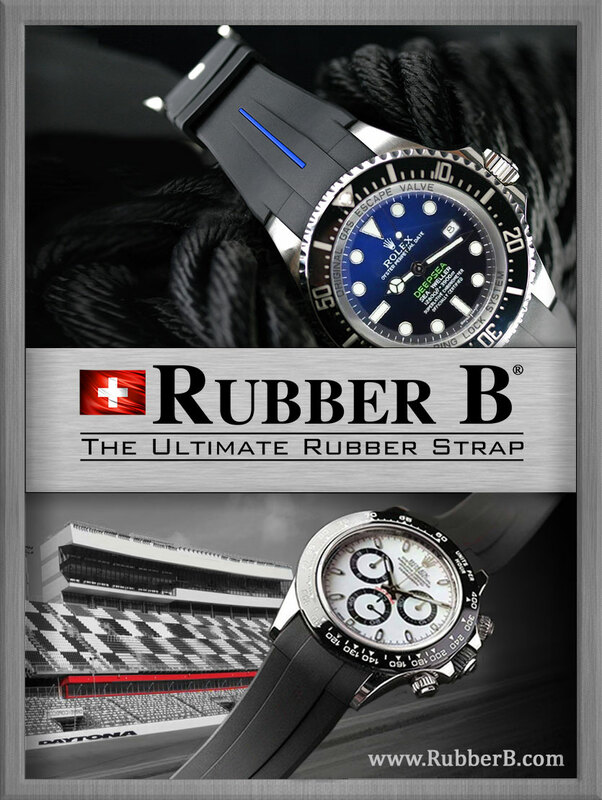 In the future, I will add this document as an update to my 18 part series named The Complete History Of The Rolex Submariner & SEA-DWELLER. 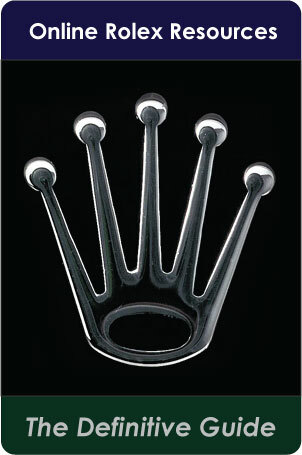 Rolex's Conquest Of The Ocean. 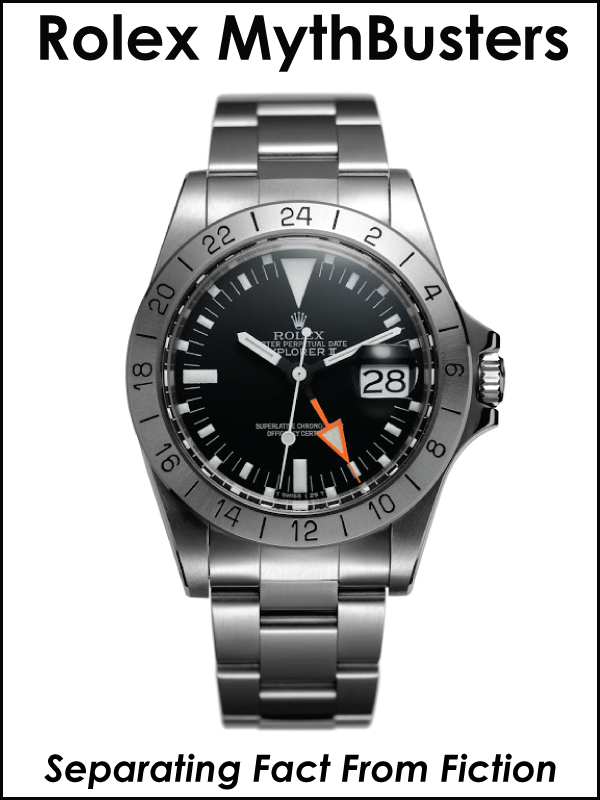 "Represents a considerable progress in the deep sea diving equipment." 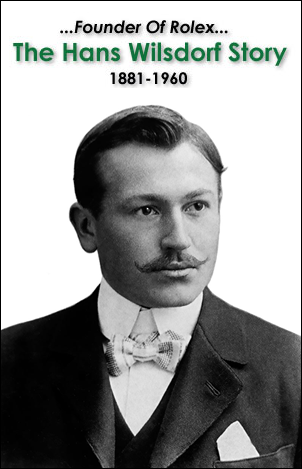 Dimitri Rebikoffand was a close friend and associate of Jacques Cousteau. 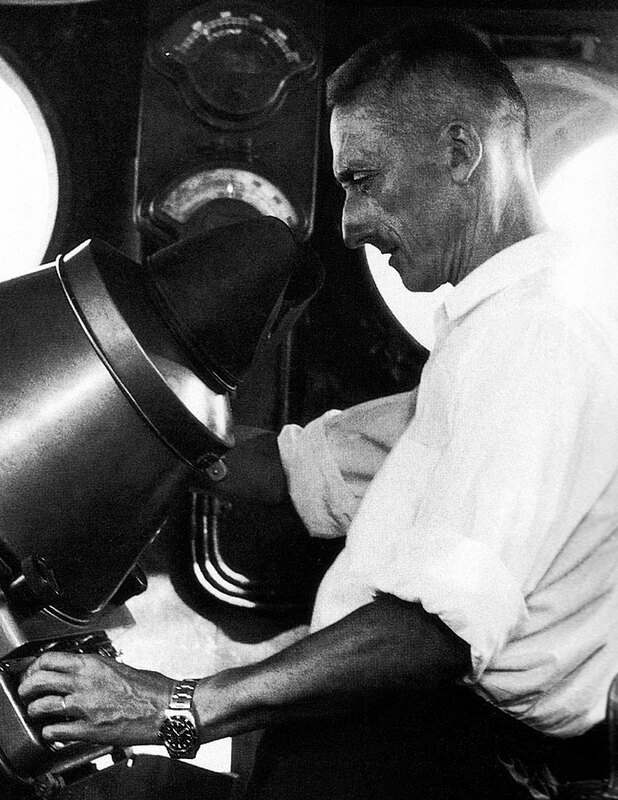 Below is a photo of Jacques-Yves Cousteau wearing his Rolex Submariner while filming The Silent World in 1953. 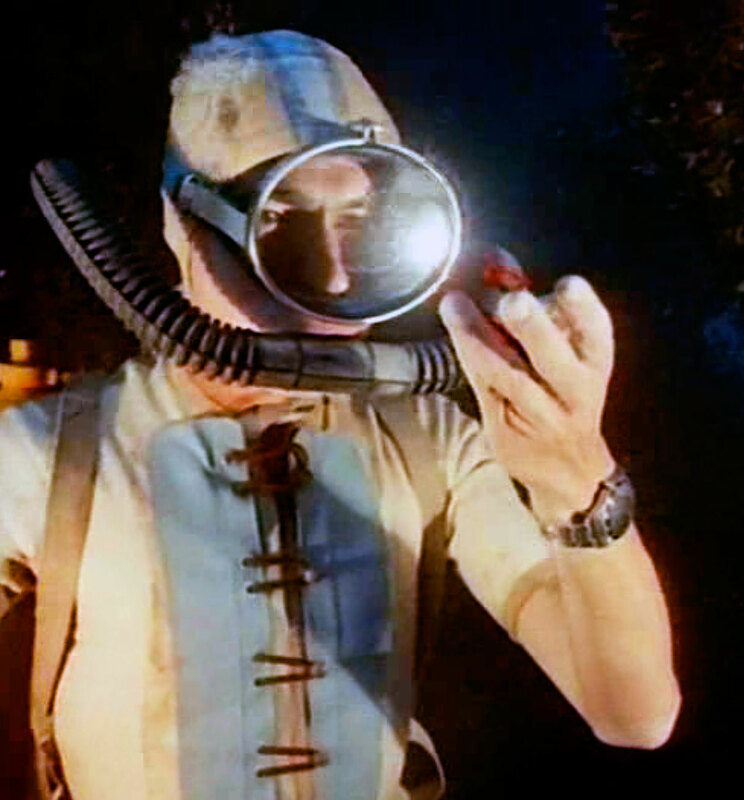 Dimitri Rebikoff was an inventor who held more than 60 patents, among which was the remote controlled underwater camera, which facilitated Jacques Cousteau's ability to film underwater for the first time, thus resulting in Jacques-Yves Cousteau's seminal, Academy Award Winning documentary, The Silent World, which for the first time in history showcased underwater life. 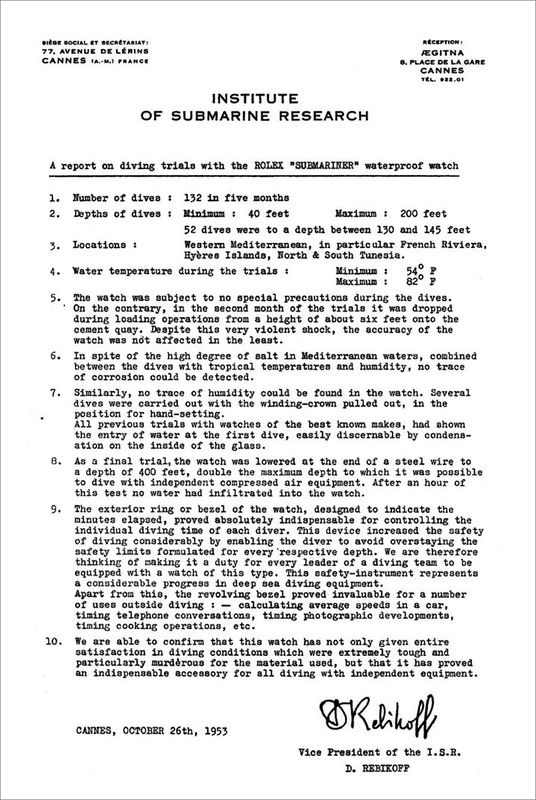 In effect, this 60 year old document provides a highly significant missing piece of the Jacques-Yves Cousteau Rolex Submariner prototype testing connection puzzle, because it has Jacques Cousteau's head technology expert, Dimitri Rebikoff conducting extreme testing on Rolex Submariner prototypes in early 1953 in the Mediterranean Sea in the same place and time Jacques Cousteau was filming "The Silent World". C'mon and say it out loud with me, B-I-N-G-O!!! 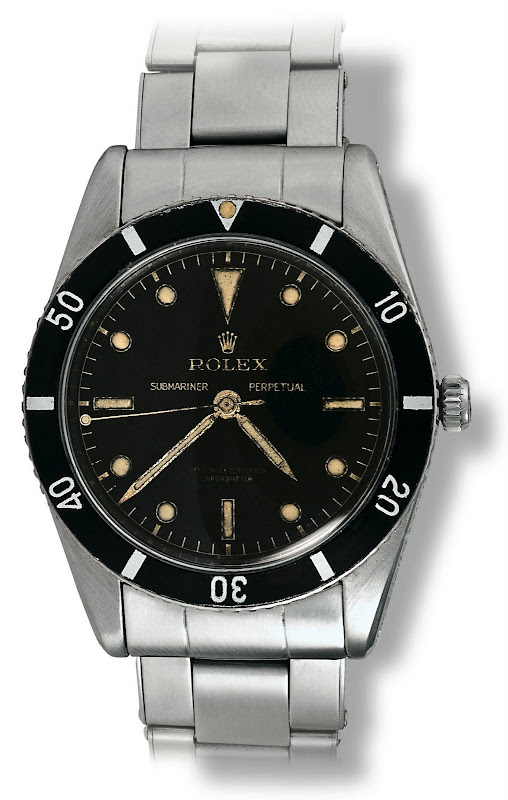 "This very early Rolex Submariner [Reference 6404] has the serial number of 949,140, which is even earlier than the 1953 Rolex Submariner you showed in the photo at the top of this story. 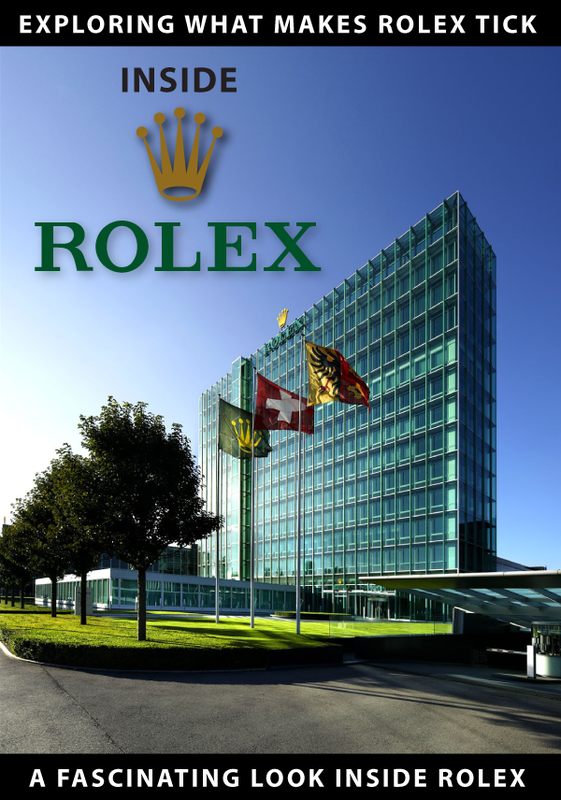 Rolex does not have early watches in their museum, the real Rolex museum is in the safes of collectors!" 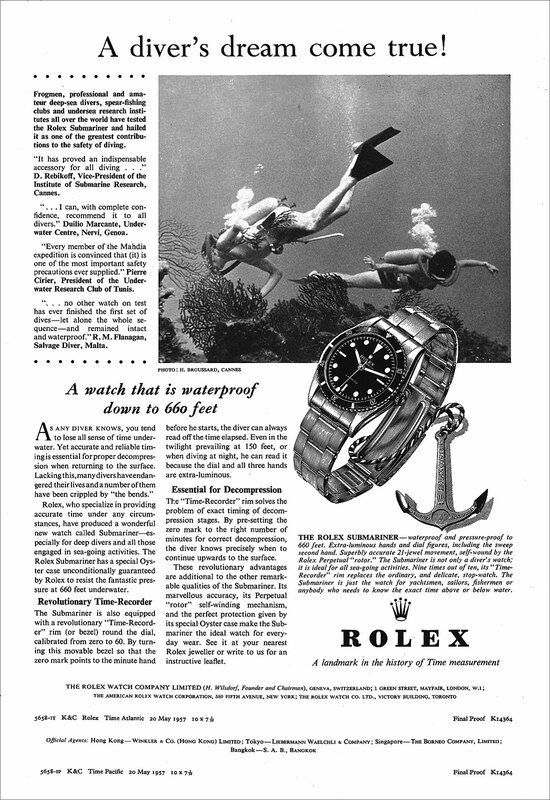 Pictured below is a 1957 Rolex magazine ad that cites "D. Rebikoff, Vice-President of the Institute of Submariner Research" as saying the Rolex Submariner has "proved an indispensable accessory for all diving." 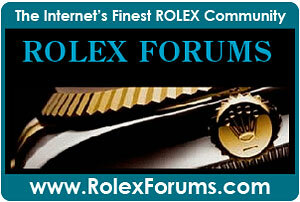 The is also an earlier 1955 Rolex magazine ad that also cites Dimitri Revikoff.